Dancing the World - Jasna Boudard | Patchogue Arts Council, Inc. 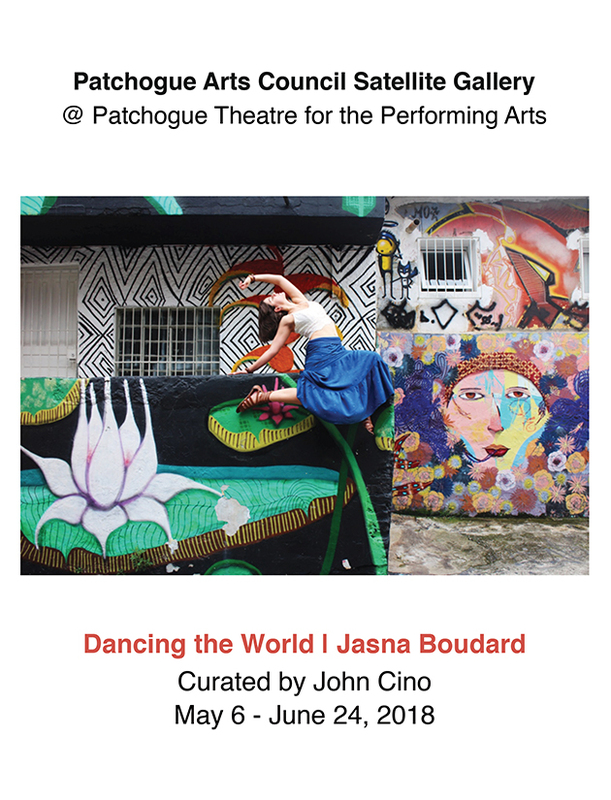 The Patchogue Arts Council is proud to present Dancing the World, a solo exhibition featuring the photographs of Jasna Boudard. The artist, photographer, and dancer Jasna Boudard has traveled to four continents. At each location she seeks those that move with the most grace. Turning her lens on them, she captures a visual dynamic of form and space. The exhibition is curated by John Cino, and inaugurates E Pluribus Unum, PAC’s festival of arts. The exhibition is on view at the Patchogue Theatre for the Performing Arts from May 6 – June 24, 2018. The exhibition is open to the public during the theatre’s hours of operation.